We understand it is illegal to use a device while driving, like a cell phone in the province of Ontario. For Amateur Radio Operator with a license certificate only Section 13.1 applies to us. We are NOT taxi driver, we are NOT couriers, we are NOT bus drive. Therefore ONLY Section 13. (1) (2) applies to us. 13. 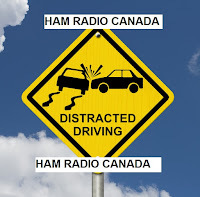 (1) Drivers who hold a valid radio operator certificate issued under the Radiocommunication Act (Canada) may drive a motor vehicle on a highway while holding or using a two-way radio. O. Reg. 366/09, s. 13 (1), O. Reg. 253/12, s. 3 (1). (2) This section is revoked on January 1, 2018. O. Reg. 366/09, s. 13 (2), O. Reg. 253/12, s. 3 (2). “two-way radio” means a wireless communication device, consisting of a main receiver unit ... Persons appointed as police constables under section 44 of the Railway Safety Act (Canada). 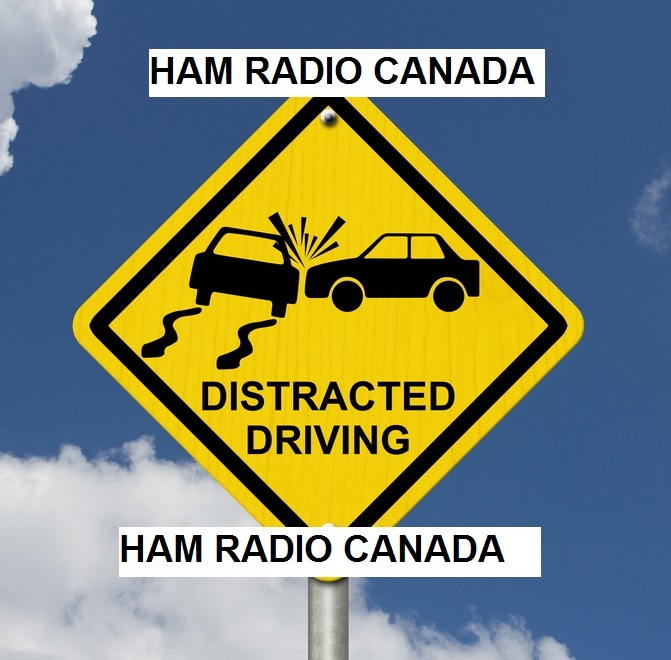 .... Time-limited exemption for amateur radio operators. That's not "Canada". that's Ontario. I realize it may surprise some people (especially if they are from the "center of the known universe"), but Ontario Provincial law does not cover the entire country Canada.